Year Seven! 2020 Contracts Now Available! 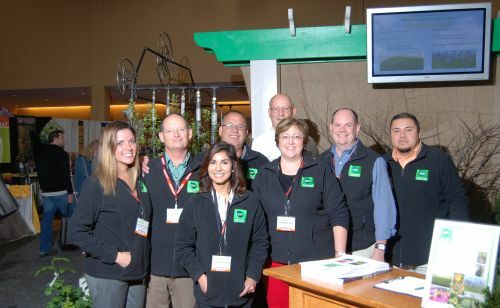 iLandscape is the Midwest’s biggest show geared towards the lawn and landscape industry. The three day show features opportunities for lawn and landscape professionals, equipment dealers and construction businesses to view the newest products, technology and best practices. The seventh annual show will be January 29th-31st, 2020 at the Renaissance Schaumburg Convention Center in Schaumburg, Illinois. iLandscape is owned and managed by the Illinois Landscape Contractors Association (ILCA). iLandscape was conceived to right many of the wrongs of past tradeshows. iLandscape will offer a brand new experience in a convenient and modern venue. It will inject value into the show for attendees and exhibitors. It will gather the best minds in the green industry as part of its educational program.Lastly, it remembers to have fun with lively keynotes, evening entertainment, and a venue that allows for the party to continue well after the show closes for the night. iLandscape is the show for today’s landscape professional. It is a show you will look forward to, enjoy, and talk about months after the show has concluded. iLandscape is the show that midwestern landscape professionals deserve.